Curtain wall refers to a cladding, and exterior wall system that is considered non-load bearing and nonstructural. Typically assembled from glass with aluminum frames, this type of wall system spans several floors if not an entire building. It is attached to the building at the floor line where wind and gravitational loads are transferred to the structure through the floors and columns. 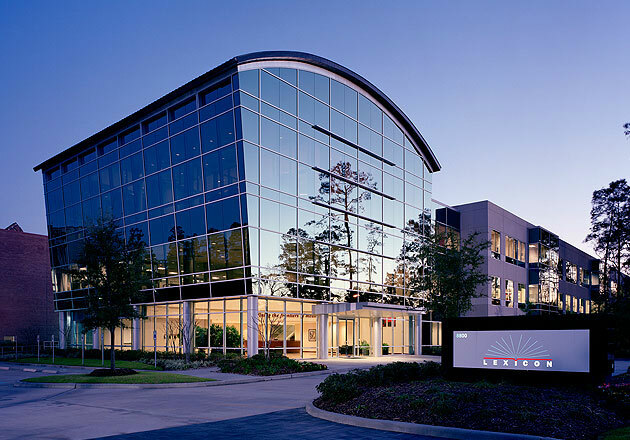 In many metropolitan areas, massive glass walls dominate commercial building designs, creating a niche market for professional glass repair Houston companies that building owners can rely on. Earlier building methods relied on exterior walls to carry the dead weight of the roof and other features. Sturdier columns with greater load bearing capacity formed the building’s support systems as steel and reinforced concrete became standard materials in the industry. With walls no longer required for primary structural support, builders began using materials other than traditional stonework. The use of glass in exterior facades became popular and gave rise to today’s curtain walls. Wood was first used as the rigid component of curtain walls in the 18th century during the Ottoman Empire. Aluminum frames were introduced much later as western economies were industrialized. British engineer and architect Peter Ellis designed Oriel Chambers and 16 Cook Street, both located in Liverpool, England. These buildings were two of the first structures to feature metal framed glass walls. Much like developments in Houston auto glass technology, the type of attachments used to position and hold glass panels in place in curtain walls evolved over time. Earlier curtain walls used steel mullions with asbestos or fiberglass compounds to attach the plate glass. Steel mullions were replaced with glass, and silicone sealants were used in lieu of asbestos compounds. In the U.S., the Louis Curtiss-designed Boley Clothing Company building was constructed in 1909 in Missouri, using glazed curtain walls with traditional accents. In 1918, architect Willis Polk built the Hallidie Building in San Francisco, renowned for its floating glass curtain wall design. The first building in New York that featured a curtain wall was the Lever House in Midtown Manhattan that was built in 1952 by the design firm of Skidmore, Owings and Merrill. The use of curtain walls in commercial building designs became an enduring trend for many aesthetic and energy efficiency reasons. Just as large windows allowed natural light into interior spaces, curtain walls flooded the interiors with natural light. When glass walls replaced masonry construction in commercial buildings, the depth and reach of light penetration improved, reducing the need for artificial lighting and consequently, cutting down on lighting bills. Additionally, windowless areas toward the middle of the floor became appealing and usable workspaces. An aluminum-framed curtain wall is designed to be airtight. In a properly sealed system, the air barrier is continuous from the glass panel to the mullions and the seals. The airtight design prevents rain intrusion that could lead to costly cleanup and repairs. The glass, aluminum and sealant components of a curtain wall do not allow for absorption or evaporation of moisture, keeping moisture out of the interior section. The components are corrosion resistant except for some seals, which may degrade if left soaking for some time. The use of insulating glass in curtain wall installations can improve thermal qualities. A well-constructed glass curtain can enhance energy efficiency and reduce the costs of heating and cooling in a commercial building. Curtain walls should be inspected regularly to ensure the integrity of seals, mullions and the glass itself. Glass replacement and panel repairs should be handled by professionals experienced in this work such as the glass experts at Apple Glass. 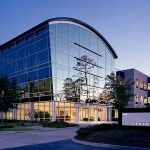 Call Apple Glass for your commercial glass requirements today. The company also provides Houston windshield replacement services. This entry was posted in Energy Efficient Windows and tagged Glass Repair Houston, Houston Auto Glass, Houston Windshield Replacement. Bookmark the permalink.